It’s official. Guinness World Records has recognized a March fundraiser involving 329 Calgary firefighters simultaneously shaving their heads as the largest ever. Guinness World Records has just recognized a March fundraiser involving 329 Calgary firefighters simultaneously shaving their heads as the largest ever. Including the CBC's own Angela Knight and members of the CBC Do Crew — the group shed their locks at the Calgary Fire Department's southeast training academy. The group more than tripled its initial goal of raising $40,000, finishing with a total of $140,000 for the Canadian Cancer Society. 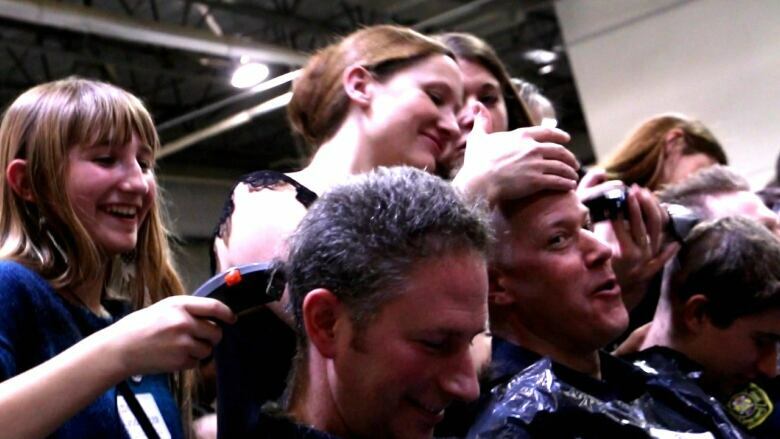 The previous world record was 267 heads shaved simultaneously, set at another cancer fundraiser in Ontario last May.